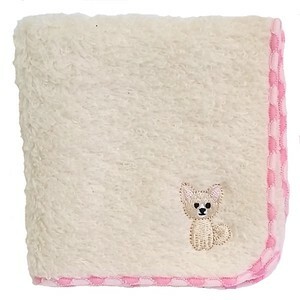 You will fall in love with this super soft and super absorbent terry hankie! 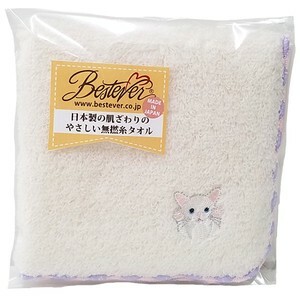 Carefully made in Japan by the foot of Mount Koya, using 100% untwisted yarn for extra fluffiness. 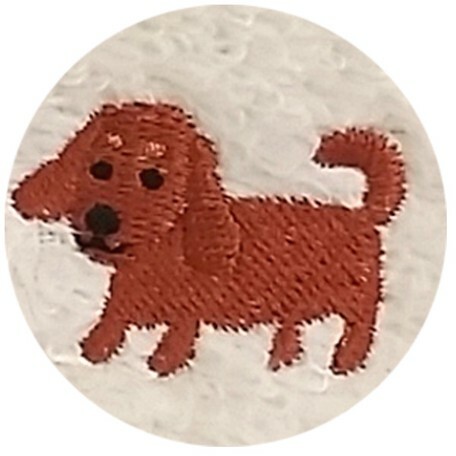 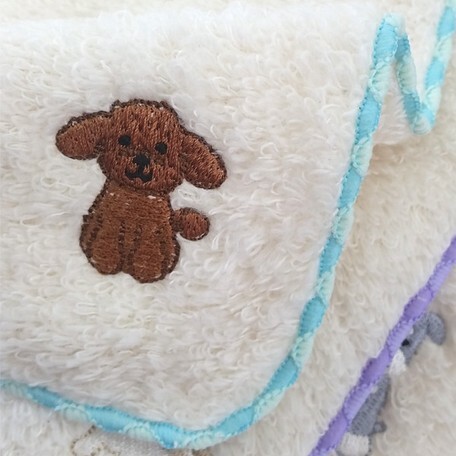 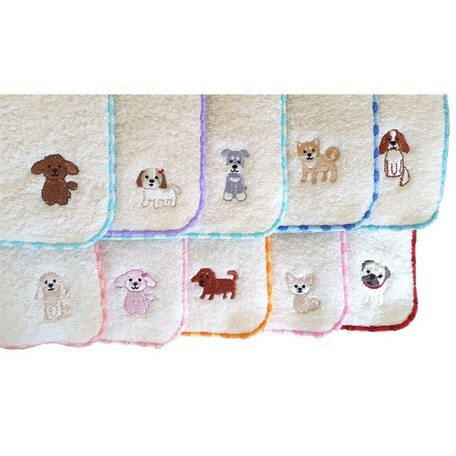 The best feature is the adorable puppy embroidery! 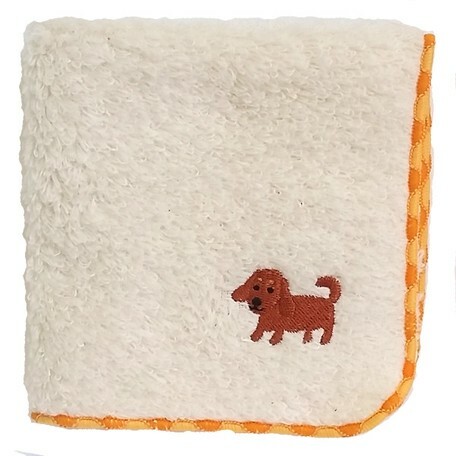 The adorable Dachs puppy is sitting at the corner of the towel with a sweet little smile. 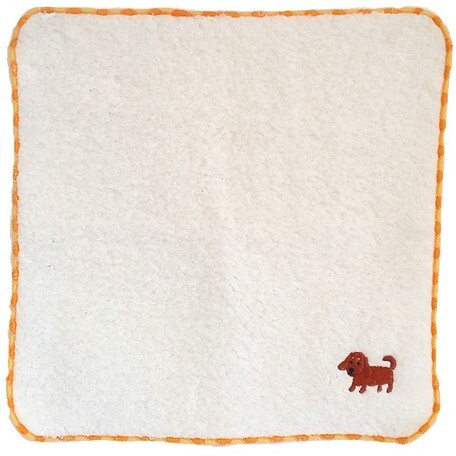 The hems are stitched with pretty orange colored threads for the perfect finishing touch! 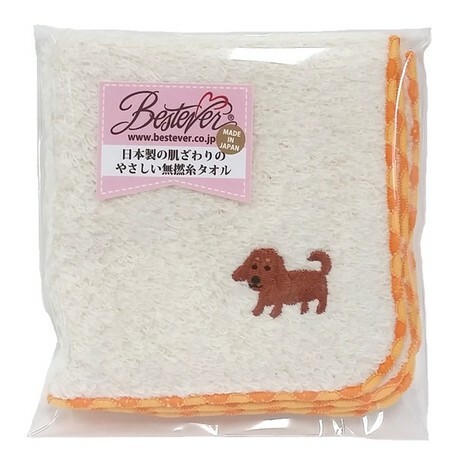 This ultra-plush tiny towel may be the softest and the cutest towel you have ever touched. 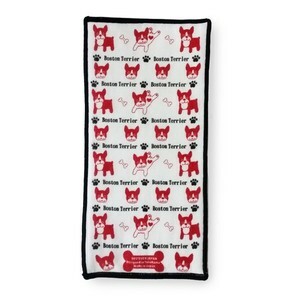 Take the towel with you wherever you go and show it off to everyone! 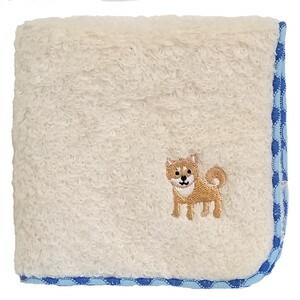 The small size is also great for tiny hands and pockets. 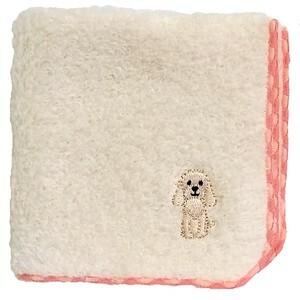 Comes packaged in a clear plastic bag.